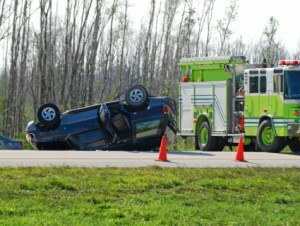 Being involved in an SUV rollover case means that you may have been seriously injured as a result of the accident. These particular cases can be extremely dangerous to everyone involved in the crash. The manufactured design of the SUV might not have included roll cages, which can prevent crushing injuries, simply to allow for more storage and seating space. When the medical bills are starting to come in after your treatment, you might start thinking about filing to get an SUV rollover injury settlement from the responsible parties, which might include the manufacturer. When you are considering this, a Chicago car accident lawyer from Kurasch & Klein can help assess your case. CALL US NOW AT 312-372-7250 or SEND US AN EMAIL – THERE’S NEVER A CHARGE UNTIL WE WIN! 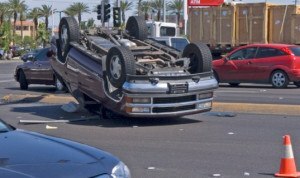 When Should You Consider an SUV Rollover Injury Case? When you have decided to take action against the parties that have caused you harm, Kurasch & Klein will be on your side. Before the rollover accident, you were able to work and maintain your household. After the crash, your life changed. You may have found yourself out of work or unable to work because of the severity of your injuries. Your injuries may have changed your life forever. Seek compensation and justice with the help of a personal injury lawyer from Kurasch & Klein. When you are having trouble with your insurance carrier in regards to your accident, it is time to file an SUV rollover injury case. You might also be having trouble proving that you were not at fault in your lawsuit. At Kurasch & Klein, our injury attorneys are dedicated to helping you with your fight for justice. The injuries sustained in the crash may never go away but filing a case is one way to make sure that those responsible will be held accountable for their actions. You were left defenseless during your accident; make sure that you have a team of Chicago personal injury lawyers from Kurasch & Klein on your side. Contact us today to discuss your case.